HB19-1167 sponsored by Representative Monica Duran (D-Wheat Ridge), Representative Terri Carver (R-Colorado Springs) and Senator Robert Rodriguez (D-Denver), authorizes notaries public to perform a notarial act through use of audio-visual communication, such as technology similar to Skype or FaceTime. It’s commonly referred to as “remote notarization.” Existing law requires an individual to appear in-person in order to get a document notarized. If passed, House Bill 1167 would also prohibit a notary and the operator of a remote notarization system from using personal information collected during the process for any purpose other than completing the notarial act or to process the transaction for which the information was originally provided. In today’s digital economy, data privacy is a very important component, especially to REALTORS® and the clients they represent due to the level of sensitive and personal information that is exchanged in a real estate transaction. CAR’s Legislative Policy Committee (LPC) supports this legislation because as information has become more easily available and wide-spread, trust has also taken on new dimensions that impact how real estate professionals collect, store, share and most importantly, protect the information they use on behalf of their consumer clients. Whereas, CAR’s Legislative Policy Committee recently opposed another notary bill (SB19-084 sponsored by Senator Bob Gardner, a Republican from Colorado Springs), which allowed for “remote notarization,” but as drafted, did not protect consumer data privacy. In fact, the bill would have allowed a notary to keep all the information from the transaction and sell the consumer financial data to third parties outside of the notary transaction, such as marketing companies. CAR has been active on this issue and the NAR data privacy provisions prohibit this type of careless regard for the protection and safety of consumer data–especially the kind of sensitive and personal financial information that is included in a real estate transaction. Senate Bill 084 died in the Senate State, Veterans and Military Affairs Committee on January 30th. HB19-1047 sponsored by Representative Bri Buentello (D-Pueblo) and Senator Jessie Danielson (D-Lakewood), allows a metropolitan district to levy a sales tax upon voter approval to provide fire protection in the areas of the district where the sales tax is levied. Currently, a metropolitan district is only authorized to levy a property tax for protection, street improvement and transportation purposes. CAR’s Legislative Policy Committee (LPC) supports this legislation because it allows metropolitan districts to provide critical fire protection services with sales taxes if the districts decide to pursue that funding with voter approval. Homeowners are continuously asked to mitigate their property. This approach would ensure the security of funding to fight fires especially when the Gallagher amendment can often hurt the ability of several counties and municipalities to fund these types of critical services for our population. In 2015, CAR created Colorado Project Wildfire, a program to raise awareness of the increasing danger of wildfires in our state and provide technical and financial resources to property owners to mitigate their fire risks. Four years later, CAR has granted almost $250,000 to put on educational events or sponsor homeowner mitigation programs all over the state. In 2018, CAR worked with several stakeholders to update and put together a statewide brochure about preparing for wildfires and creating defensible space. CAR has also advocated for multiple pieces of legislation that provide resources to homeowners to prepare for mitigation in the Wildland-Urban Interface (WUI) areas either by increasing the funds to the wildfire risk reduction grant program or by passing and increasing the wildfire mitigation state income tax deduction to incentivize property owners to take action to reduce wildfires. This is your chance to learn about and discuss important policy issues affecting the real estate industry this upcoming year, as well as hear from and network with your legislators. The REALTOR® Day at the Capitol luncheon will feature Chris Brown, the Director of Policy and Research with the Common Sense Policy Roundtable (CSPR). Mr. Brown leads the research efforts of CSPR and the REMI Partners to provide insightful, accurate and actionable information on the implications of public policy issues throughout the state of Colorado. Click here to learn more and register! 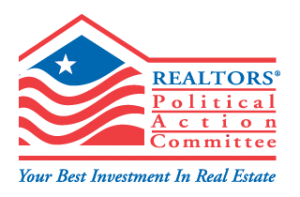 The purpose of RPAC is to support candidates that support REALTOR® issues. Our goal is to elect pro-REALTOR® candidates at the local, state, and federal levels–candidates that share our support for homeownership, protect property rights, and who will listen to our concerns. Investing in RPAC is one of the easiest things you can do to protect your business. Our goal raise funds to continue to support Colorado’s REALTOR® champions and ensure we achieve the policy outcomes necessary to protect property rights. Click here to invest today!